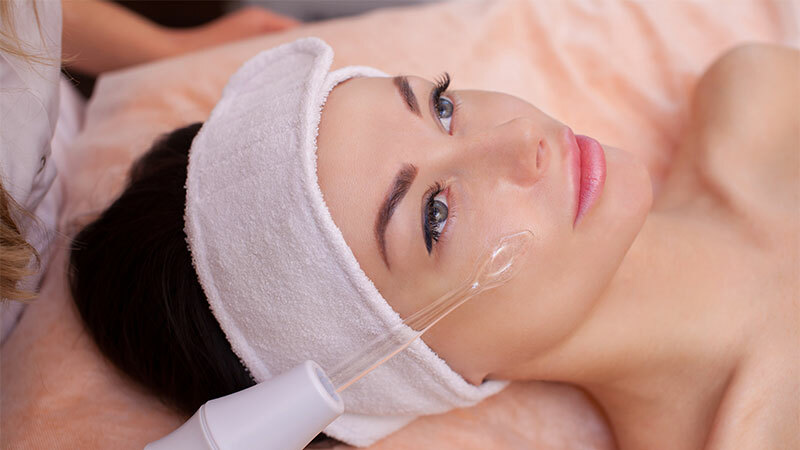 Intense Pulsed Light (IPL) is sometimes called Photofacial or Fotofacial. It is a non-surgical facial rejuvenation treatment that can improve the skin in a number of ways. IPL is considered the best treatment for rosacea, which is a skin condition affecting more than 14 million people in the U.S., causing redness on the face. The IPL device uses high intensity broadband light to improve damaged skin without harming the surrounding healthy skin. Most patients use it on the face and neck, but it can be used on other areas of the body as well. For example, age spots on the hands or sun damage on the chest are sometimes treated with IPL. Intense Pulsed Light is not recommended for patients with darker skin, as it might cause pigmentation problems. We apply a cool gel to your skin before the treatment. A hand-held device is then passed over the area to be treated. No anesthetic is required, as the sensation is just similar to the snap of a rubber band against the skin. Most people receive 4 to 6 treatments in order to achieve optimal results, but the number of appointments you need will depend on the severity of the issues you want to treat. How long do the results of IPL last? The results of IPL are long-lasting. Further sun damage can occur, of course, but you will maintain your results by taking excellent care of your skin. Most important is wearing sunscreen when outdoors so that you are less likely to suffer further sun damage, dark spots, or redness. How long will it take to recover from IPL? No recovery period is required after IPL. For the first day, your skin may feel as though it has a mild sunburn. You can apply makeup right away and go back to work or other activities directly from our office. It is very important to wear sunscreen, especially for the first few weeks after your treatment, because your skin will be more susceptible to sunburn.